Experience vintage Texas Hill Country living at its finest when you book our Classic Quarters Cabin. 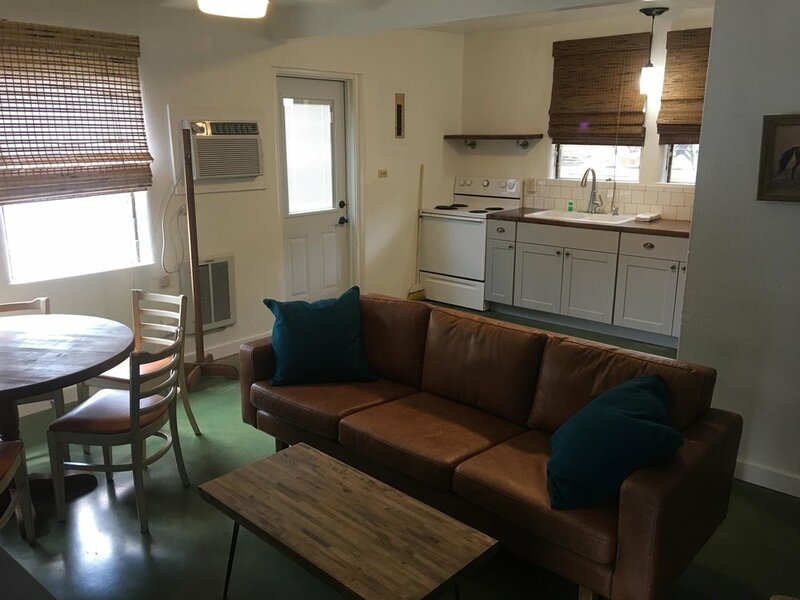 This precious 1960’s-era cabin previously housed 7A staff, but has been freshly renovated and is ready to host you for your next Blanco River vacation. 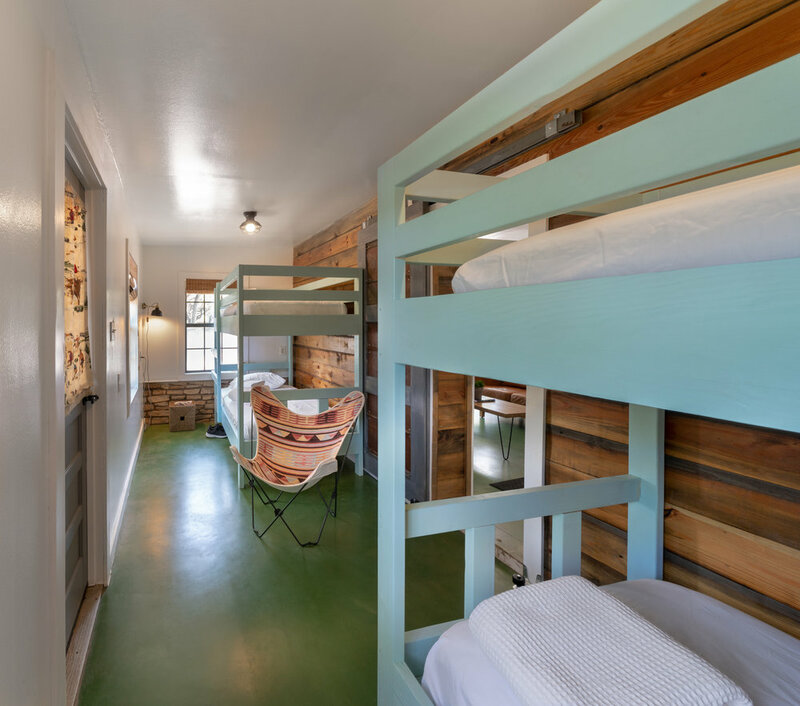 With one private queen master bedroom and a bunk room with two sets of bunk beds, this cozy cabin sleeps 6 comfortably. Enjoy all the conveniences of home with a full-sized kitchen, relaxed living room, quaint dining area, and full bathroom with a walk-in shower. Located a short distance from the pool and river, but with more privacy cabins located directly on the water, this cabin won’t disappoint.